Ballot Access News - Edited By Richard Winger. Black Box Voting (BBV) - Elections watchdog group. Brad Blog, The - Ongoing coverage of electronic voting and stolen election issues. Campaign Legal Center (CLC) - Fight threats to democracy in the areas of campaign finance, voting rights, redistricting and ethics. Center for Hand-Counted Paper Ballots - An educational and research center that provides on-site instruction and resources to state and local election officials, poll workers, and voters on how to run publicly observed hand-counted paper ballots (HCPB) elections and recounts with a secure chain of custody. Citizens' Alliance for Secure Elections - Dedicated to honest, reliable and voter verifiable elections. Supports honest and fair elections, the right of each eligible citizen to be able to cast a ballot and to have that ballot properly counted, and opposes any electronic voting machine that does not offer a voter a verifiable paper audit trail. Election Defense Alliance (ESA) - Building a national citizen movement to expose electoral fraud and establish electoral integrity, so that governments accountable to the people are legitimately elected. Electoral-vote - Track the election with a red/blue map of the US updated daily using the latest state polls. FairVote - The Center for Voting and Democracy - Dedicated to fair elections that promote participation and inclusive representation. Gerrymandering - In the process of setting electoral districts, gerrymandering is a practice that attempts to establish a political advantage for a particular party or group by manipulating district boundaries to create partisan advantaged districts. I Vote - Working to secure voting rights for all Americans. Maps and Cartograms of the U.S. Presidential Election Results - Prepared by Michael Gastner, Cosma Shalizi, and Mark Newman of University of Michigan. Verified Voting Foundation - A non-governmental organization working toward accuracy, integrity and verifiability of elections. Bipartisan Campaign Reform Act of 2002 - On March 27, 2002, President Bush signed into law the Bipartisan Campaign Reform Act of 2002 (BCRA), Public Law No. 107-155. The BCRA contains many substantial and technical changes to the federal campaign finance law, including: 'soft money' - i.e., solicitation and use of nonfederal funds by parties, candidates and officeholders; 'electioneering communications' - e.g., issue ads, Increased contribution limits; prohibited contributions - i.e., from minors and foreign nationals; inaugural committees; coordinated and independent expenditures; the 'millionaire's amendment' - i.e., the increase in contribution limits for candidates facing a wealthy opponent who intends to make large expenditures from personal funds; fraudulent solicitations; disclaimers; prohibited and permitted uses of campaign funds; civil penalties; and reporting. Cal-Access - Provides financial information supplied by state candidates, donors, lobbyists, and others. Campaign Finance Institute (CFI) - Think tank for campaign finance policy. Affiliated with George Washington University. Campaign Finance: Constitutional and Legal Issues of Soft Money [.pdf] - Prior to enactment of the Bipartisan Campaign Reform Act of 2002 (BCRA), P.L. 107-155, the term 'soft money' generally referred to unregulated funds, perceived as resulting from loopholes in the Federal Election Campaign Act (FECA), 2 U.S.C. §§ 431 et seq. Generally, the intent of BCRA, (effective Nov. 6, 2002), which amends FECA, is to restrict the raising and spending of soft money. This CRS Issue Brief discusses constitutional and legal issues surrounding two major types of soft money that BCRA regulates: political party soft money and soft money used for issue advocacy communications. Corporate and labor union soft money, which FECA exempts from regulation and is not addressed by BCRA, is also discussed. Campaign Finance: Brookings - The special focus of this site is campaign finance law and administration. It provides critical background information on current law and regulations, tracks important legal developments in court cases and administrative decisions, and reports on proposed new legislation and other reform proposals. Campaign Finance: OpenSecrets - Maintained by Opensecrets.org. Campaign Legal Center - Works in the areas of campaign finance and elections, political communication and government ethics. The Legal Center offers nonpartisan analyses of issues and represents the public interest in administrative, legislative and legal proceedings. The Legal Center also participates in generating and shaping our nation's policy debate about money in politics, disclosure, political advertising, and enforcement issues before the Congress, the Federal Communications Commission (FCC), Federal Election Commission (FEC) and the Internal Revenue Service (IRS). Campaigns and Elections - "How to" advice for elected officials, candidates and staff on how to run smart, winning campaigns. Center for Public Integrity (CPI): News - Provides the findings of its investigations and analyses of public service, government accountability, and ethics-related issues. Center for Responsive Politics, The (opensecrets.org) - Non-partisan, non-profit research group based in Washington, D.C. that tracks money in politics, and its effect on elections and public policy. The Center conducts computer-based research on campaign finance issues for the news media, academics, activists, and the public at large. CitizenAudit - Doing what the IRS won't. Enter some words to search for Form 990 financial disclosure documents, filed with the IRS by US charities, from 1999 onwards. You can search any Form 990 in the last 10 years by the organization's name, or search for any word within the body of documents. Citizens for Responsibility and Ethics in Washington (CREW) - Focuses on government: officials who sacrifice the common good to special interests. Uses litigation to shine a light on those who betray the public trust. Common Cause - A nonpartisan, nonprofit advocacy organization founded in 1970 by John Gardner as a vehicle for citizens to make their voices heard in the political process and to hold their elected leaders accountable to the public interest. Congressional Franking Privilege - Also see the Franking Manual (Red Book). CQ MoneyLine (Tray.com) - Source for comprehensive, timely and objective campaign finance and lobbying information available. Dark Money Inc. - U.S. corporations funneling millions into political nonprofits. Democracy21 - Works to eliminate the undue influence of big money in American politics and to ensure the integrity and fairness of government decisions and elections. Promotes campaign finance reform and other political reforms to accomplish these goals. Dirty Energy Money - Provides an interactive tool that tracks the flow of contributions to the U.S. Congress. Find out which companies are pumping their dirty money into politics and which politicians are receiving it. Federal Communications Commission: TV Station Profiles and Public Inspection Files - Contains a variety of information about each station's operations and service to its community of license, including information about political time sold or given away by each station, quarterly lists of the most significant programs each station aired concerning issues of importance to its community, data on ownership of each station and active applications each station has filed with the Commission. Federal Election Commission (FEC) - U.S. agency that administers and enforces the Federal Election Campaign Act (FECA) - the statute governing the financing of federal elections. Financial Action Task Force on Money Laundering (FATF) - An inter-governmental body which develops and promotes policies to combat money laundering. Financial Crimes Enforcement Network (FinCEN) - One of the U.S. Department of Treasury's lead agencies in the fight against money laundering. FinCEN serves as a link among the law enforcement, financial and regulatory communities and works with its domestic and international partners to share information and find ways to prevent and detect financial crime. Financial Disclosure Reports - Database maintained by the Office of the Clerk, U.S. House of Representatives. Follow the Money (National Institute on Money in State Politics) - Provides campaign-finance database and relevant issue analyses; promotes independent investigation of state-level campaign contributions by journalists, academic researchers, public-interest groups, government agencies, policymakers, students and the public at large. Foreign Lobby Watch - Use Open Secret's FARA search tool to look up the lobbyists registered under the Foreign Agents Registration Act, the foreign interests they represent, and their meetings and other contacts with government officials. Fundrace - Follow the money. Candidate rankings, money maps, neighbor search, city maps. General Election Legal and Accounting Compliance (GELAC) - U.S. Code of Federal Elections, Section 11 CFR 9003.3: ..."(i) A major party candidate, or an individual who is seeking the nomination of a major party, may accept contributions to a legal and accounting compliance fund if such contributions are received and disbursed in accordance with this section. A general election legal and accounting compliance fund (''GELAC'') may be established by such individual prior to being nominated or selected as the candidate of a political party for the office of President or Vice President of the United States. Before June 1 of the calendar year in which a Presidential general election is held, contributions may only be deposited in the GELAC if they are made for the primary and exceed the contributor's contribution limits for the primary and are lawfully redesignated by the contributor for the GELAC pursuant to 11 CFR 110.1..."
Greenhouse - A free browser extension for Chrome, Firefox, and Safari that exposes the role money plays in Congress. Displays on any web page detailed campaign contribution data for every Senator and Representative, including total amount received and breakdown by industry and by size of donation. Hatch Act - A discussion of restrictions on political activity by federal government employees, and by employees of certain state and local government agencies, under the Hatch Act. Hoover Institution: Campaign Finance - Public policy inquiry into campaign finance reform. The site is complemented by the Hoover Institution Press' Political Money: Deregulating American Politics edited by Annelise Anderson. If.Then.Fund - Empowering small dollar donors to make contributions based on what politicians do, not what they promise. If they support your position, then fund their re-election. Influence Explorer - Provides overviews of political influence data for politicians, companies and prominent individuals. Find campaign contributions and lobbying reports, details about grants and contracts and more. Kantar Media - Intelligence on Washington DC-influenced advertising. Source of content analysis and advertising expenditure data for political, public affairs and issue advocacy professionals. Koch Exposed - The Center for Media and Democracy, publisher of ALEC Exposed, brings you this unique wiki resource on the billionaire industrialists and the power and influence of the Koch cadre and Koch cash. League of Women Voters: Campaign Finance Reform - A nonpartisan political organization, has fought since 1920 to improve our systems of government and impact public policies through citizen education and advocacy. Lobbying Database - Lobbying totals for the last three years for everyone from AAI Corp to Zurich Financial. Use the search engine to look for a company, lobbying firm or individual lobbyist or can search for total spending by a particular industry. Lobbying Disclosure Act (LDA) - Lobbyists register with the the House of Representaives and the Senate in accordance with the LDA. Lobbying and other records are available for public inspection. Lobbying Disclosure - Search for lobbying disclosure registrations and reports filed with the Office of the Clerk, U.S. House of Representatives. MapLight - Brings together campaign contributions and how legislators vote, providing an unprecedented window into the connections between money and politics. Currently researches money and influence in the U.S. Congress and in the California and Wisconsin legislatures. Money Laundering: A Banker's Guide to Avoiding Problems - A publication of the U.S. Office of the Comptroller of the Currency. MoveOn Political Action - Provides financial support to congressional candidates who embrace moderate to progressive principles of national government. National Institute on Money in State Politics: Follow the Money - By searching the Follow the Money database, you can find out what specific businesses or contributors - or all contributors in any of 115 interest groups - invested in elections in your state. Or, find out what they gave regionally, or nationally, or in any group of states you want. OpenSecrets - Research group tracking money in U.S. politics and its effect on elections and public policy. Influence & Lobbying - Tracking influence and lobbying by corporations, industry groups, labor unions, and single-issue organizations. News and Analysis - News breaking posts and reports. Personal Finances Database - Find information about lawmakers' personal finances. Politicians and Elections - A campaign contribution may carry an expectation that the money will get repaid in the form of favorable legislation, less stringent regulations, political appointments, government contracts or tax credits-to name a few forms of payback. So where is all this money coming from? Who's giving it? Who's getting it? PAC Track - What and where are the Super PACs spending? Maintained by ProPublica. Political Ad Sleuth - Dedicated to collecting and posting the information available in the "public files" of U.S. broadcast stations on the Internet. This 'public file' includes important information detailing political advertisements sold at the station (known as the 'political file'). Political Organization Filing and Disclosure - From the Internal Revenue Service. On this site, you can electronically file Form 8871, Political Organization Notice of Section 527 Status, and Form 8872, Political Organization Report of Contributions and Expenditures. Additionally, you can search for and view copies of all submitted Forms 8871 and Forms 8872 (both paper and electronic filings). Political Party Time - From the early hours of the morning until late in the evening, politicians are breaking bread and sipping cocktails with donors. Sunlight's Party Time lets you know who's fundraising and where. Presidential Appointee & Nominee Records - Provides access Presidential, Vice Presidential, appointee, and nominee public financial disclosure reports and applicable ethics agreements. Presidential Campaign Finance Summaries - FEC presents contributions to all presidential candidates by state and zip code. Public Campaign - Campaign finance reform public interest group dedicated to reform that reduces the role of special interest money in America's elections and the influence of big contributors in American politics. Public Financial Disclosure Reports - Maintained by the U.S. Office of Government Ethics. Revolving Door: Top Industries - Details which industries and special interest areas most frequently use lobbyists who have spun through the revolving door of federal politics and government. Tax Information for Political Organizations - Provided by the IRS. Texans for Public Justice (TPJ) - Policy and research organization tracking the influence of money in politics. Learn about the fight to protect citizen rights and enforce corporate accountability in Texas. Votenet - Track campaign funding and campaign finance research. Wesleyan Media Project - Political advertising analysis. Developing a definitive database that tracks all advertising by source (corporation, union, interest group, party, or candidate) Seeks to enhance the ability of scholars, citizens, and journalists to hold government accountable by providing public information on how special interests influence American democracy in general and political campaigns in particular. WhiteHouseforSale - This Web site, a project of Public Citizen, allows you to follow the money trail of campaign bundlers - or people who funnel money to campaigns - as they collect thousands, and sometimes even millions, of dollars from other people for presidential candidates. Who's Giving/Who's Getting - Follow the money at OpenSecrets.org. Wolf Pac - A 501(c)4 PAC organized for the purpose of removing private funding, and its resulting corruption, from politics. 2020 Election Central - U.S. presidential election news, videos, debates and polls. 2020 Presidential Election Map - It will take 270 electoral votes to win the 2020 presidential election. Click states on this interactive map to create your own 2020 election forecast. Create a specific match-up by clicking the party and/or names near the electoral vote counter. Use Map Options to set the number of available ratings (colors) in your map. Use the buttons below the map to share your forecast or embed it into a web page..
Administration and Cost of Elections (ACE) Project - An online knowledge repository that provides comprehensive information and customised advice on electoral processes. The website contains in-depth articles, global statistics and data, an Encyclopaedia of Elections, information on electoral assistance, observation and professional development, region- and country-specific resources, daily electoral news, an election calendar, quizzes, expert networks and more. American Bridge 21st Century - A progressive research and communications organization committed to holding Republicans accountable for their words and actions. Researches candidates’ records to ensure their rhetoric matches their voting records. Monitors public appearances to prevent the cynical pandering that results in a candidate taking different positions depending on the audience they are in front of. Works to get this information to you through mainstream and social media, grassroots activism and its website. Ballotpedia - A free, collaborative, online encyclopedia about state politics, including elections, congress, state executive officials, state legislatures, recall elections, ballot measures (including ballot measure law, school bond and tax elections and local ballot measures). Bridge Project - A curriculum for electoral administrators. Campaign Media Analysis Group (CMAG) - From Kantar Media, a source of content analysis and advertising expenditure data for political, public affairs and issue advocacy professionals. Campaigns and Elections - People in politics, campaign trends, management and strategies, and advice for elected officials. Political assessments and candidate profiles. Can I Vote? - This site was created by the nation's chief state election officials to help make voting as simple and convenient as possible. You'll find a step-by-step guide to registering to vote and locating your polling place below. Carroll Publishing Data Sets - Provides government contact data and additional select data. Center for American Women and Politics (CAWP) - A university-based research, education and public service center. Its mission is to promote greater knowledge and understanding about women's participation in politics and government and to enhance women's influence and leadership in public life. Election Data Services - A political consulting firm specializing in redistricting, election administration, and the analysis and presentation of census and political data with GIS (geo­graphic information systems). Electoral Vote Calculator - In the race for president, the winner of the popular vote in each state wins all the electoral votes in that state (except in Maine and Nebraska). There are 538 total electoral votes and 270 electoral votes - a majority - are needed to win. Use the Electoral Vote Calculator to determine the total electoral votes for the Republican and Democratic candidates by selecting the Rep or Dem button for each state. The calculator only allows for one winner in each state. For comparison, the calculator has been pre-set to the 2004 election results in the race between George W. Bush, the Republican, and John Kerry, the Democrat. .
EMILY's List - Dedicated to electing pro-choice Democratic women to office. Green Papers, The - Facts, figures, and tidbits about the general election, primaries, caucuses, delegate selection, state and national political conventions, and candidates. Inside Elections with Nathan L. Gonzales - Provides nonpartisan analysis of campaigns for Senate, House, governor and president. League of Conservation Voters (LCV): National Environmental Scorecard - LCV's trademark publication, the National Environmental Scorecard holds members of Congress accountable for their votes on the environment. A valuable tool for environmentalists, journalists, Congressional offices and voters, the Scorecard grades each member of the U.S. House and Senate on the most important environmental votes cast throughout the year. League of Women Voters - A nonpartisan political organization, has fought since 1920 to improve systems of government and impact public policies through citizen education and advocacy. LittleSis - Resource for investigating cronyism, conflicts of interest, and systemic corruption. Helps answer questions such as: Who do the wealthiest Americans donate their money to? Where did White House officials work before they were appointed? Which lobbyists are married to politicians? Who do they lobby for? All of this information is public, but scattered. LittleSis brings it together in one place. Data is taken from government filings, news articles, and other reputable sources. MapLight - Revealing money's influence on politics. MapLight is a nonpartisan research organization that reveals money's influence on politics in the U.S. Congress and in the California and Wisconsin legislatures. It provides journalists and citizens with transparency tools that connect data on campaign contributions, politicians, legislative votes, industries, companies, and more to show patterns of influence never before possible to see. Message Machine - Political campaigns send many variations of each email to supporters. ProPublica has been collecting emails from poltical campaigns and tracking the variations. Here you can explore those emails. My District Data - Online, interactive reports that allow you to learn more about jobs, money, education and housing in your congressional district. Nonvoters in America - Research on this website attempts to determine why so many citizens opt out of their right to vote, using extensive survey research as well as interviews with nonvoters to give a voice to those who are often ignored or marginalized by politicians and the news media. On the Issues - Provide non-partisan information on the U.S. Presidential election. OpenElections - Working to create the first free, comprehensive, standardized, linked set of election data for the United States, including federal and statewide offices. Polidata - A political and demographic research firm. Communist Party USA - Believes socialism is the best replacement for a capitalist system that has served its purpose, but no longer meets the needs and requirements of the great majority of people. The last national CPUSA ticket -- headed by Gus Hall and Angela Davis -- was fielded in 1984 (36,000 votes - 8th place). While the party has not directly run any candidates since the late 1980s, the CPUSA sometimes backs some candidates in various local elections (often in Northeastern industrial communities) and engages in grassroots political and labor union organizing. Related CPUSA websites include the People's Weekly World party newspaper, Political Affairs monthly party magazine, and the Young Communists League youth organization. Democratic Party - Democrats run the wide gamut from Euro-style democratic-socialist left and traditional liberals to Dem center-right, GOP-style conservative right, and "centrist" moderate-to-liberal style. Green Party of the United States - The informal US-affiliate of the leftist, environmentalist European Greens movement -- is one of the two largest third parties in the nation. The party regularly fields candidates for local, state and federal offices in many states, and has established active state affiliate parties in nearly all 50 states. Libertarian Party - The Libertarians believe in total individual liberty (pro-drug legalization, pro-choice, pro-gay marriage, pro-home schooling, anti-gun control, etc.) and total economic freedom (anti-welfare, anti-government regulation of business, anti-minimum wage, anti-income tax, pro-free trade, etc.). Party for Socialism and Liberation - Believes that the only solution to the deepening crisis of capitalism is the socialist reorganization of society to meet people's needs. Peace and Freedom Party - An open, multi-tendency, movement-oriented socialist party. We are united in our common commitment to socialism, democracy, feminism and unionism and our common opposition to capitalism, imperialism, racism, sexism and elitism. Republican Party - Leading Republicans fall into several different ideological factions: traditional conservatives, the Religious Right, the rapidly dwindling old Nixon/Rockefeller "centrist" or "moderate" wing, libertarians, a "paleo-conservative" wing that backs strict anti-immigration controls, and far right endorsing deep cuts to government spending, opposition to any tax increase - even to very wealthy, reduction of the national debt and federal budget deficit, and adherence to an originalist interpretation of the U.S. Constitution, anti-abortion and anti-gay rights. Socialist Action - A Trotskyist political party originally founded by expelled members of the Socialist Workers Party. To date, this group of communists have fielded some local political candidates in San Francisco and a few other communities. Socialist Equality Party (SEP) - A Trotskyist political party in the United States, one of a few Socialist Equality Parties around the world affiliated to the International Committee of the Fourth International (ICFI). It has participated in recent elections with the aim of opposing the American occupation of Iraq and building a mass socialist party with an international perspective. The SEP's news site, the World Socialist Web Site (WSWS), is updated daily with articles, analysis, history, etc., written with an internationalist, Trotskyist perspective. Socialist Party USA - Founded by labor union leader, ex-Democratic elected official and pacifist Eugene V. Debs in 1900, the SP was once a mighty national third party. Advocates left-wing electoral change versus militant revolutionary change. Socialist Workers Party - A communist political party in the United States. Once it was well known as the largest active promoter of Trotskyism in the United States. The SWP claims that most of its members are industrial workers and trade union members. It places a considerable priority on participation in, and solidarity work to aid, strikes and other labor disputes. One of the SWP's main priorities is supporting Pathfinder Press, which publishes titles by past and present SWP leaders (James P. Cannon, Farrell Dobbs, Evelyn Reed and Jack Barnes) as well as by revolutionaries from Vladimir Lenin and Leon Trotsky to Malcolm X and Che Guevara. Politico - Primary and election esults for Presidential, Senate, House, and Governor races. Princeton Election Consortium - Informed analysis of US national elections by members of the Princeton academic community. Project Vote Smart - Unbiased information on over 40,000 candidates and officials. Protect Our Elections - A collaboration of grassroots organizations that have joined together to reclaim our democracy, providing oversight to rescue our elections from partisan politics and privatization. Represent - Find lawmakers, votes and bills. Provides information on lawmakers, the bills they consider and the votes they take (and miss). You can browse the latest votes and bills, see how often lawmakers vote against their parties and compare voting records. Updated daily. Run for Something - Helps recruit and support millennials running for down-ballot office. Committed to building a Democratic bench. Student Voting Guide - This guide explains the basic residency, registration, identification, and absentee voting requirements for student voters in each of the 50 states and the D.C.
Sunlight Foundation - Uses the power of the Internet to catalyze greater government openness and transparency. Does so by creating tools, open data, policy recommendations, journalism and grant opportunities to dramatically expand access to vital government information to create accountability of our public officials. Superdelegate - Superdelegates are delegates to a presidential nominating convention in the United States who are not bound by the decisions of party primaries or caucuses. Superdelegates are elected officeholders and party officials. They are sometimes referred to as "unpledged delegates," but some unpledged delegates are not superdelegates. Swing Left - Swing Districts are places where the winner of the last House of Representatives election was determined by a thin margin. Swing Left helps you find and commit to supporting progressives in your closest Swing District. TechPresident - Covers how political campaigns - presidential, congressional and state - are using the web, as well as how voters are using the web to affect those campaigns. Hedge Clippers - Unites organizations and movements to cut through Trump’s swamp, and blow the whistle on Trump’s advisors who put their own financial gain before the public good. The Hedge Clippers campaign includes leadership and collaborative contributions from labor unions, community groups, coalitions, digital activists and organizing networks around the country. NYT - Trump news coverage from The New York Times. President's Public Schedule - From Factbase. Right Wing Watch: Donald Trump - Trump, in his campaign for presisdent, based his campaign on hardline stances on immigration, attacks on minority groups, appeals to the far-right, anti-government paranoia, contempt for religious and press freedoms and advocacy for war crimes. Here are some posts commenting on same. Steven Harper - Harper blogs at The Belly of the Beast, is an adjunct professor at Northwestern University, and contributes regularly to The American Lawyer and Bill Moyers & Company. See Interactive Timeline: Everything We Know About Russia and President Trump, Harper's comprehensive and Continuously updated Trump/Russia timeline. Trump Administration Archive - Collects TV news shows containing debates, speeches, rallies, and other broadcasts related to the Trump Administration. Trump Administration Financial Reports - ProPublica, The New York Times and The Associated Press are collecting White House staffer Public Financial Disclosure Reports here. Trump Administration Office of Government Ethics Form 278 Documents - The Intercept and the Center for Media and Democracy have requested the Office of Government Ethics Form 278, the standard financial disclosure document, for hundreds of Trump officials, compiling them in a public Google Documents table, and will be adding more as they arrive. Trump Deletions - A collection of deleted material by or about Donald Trump at The Memory Hole. Trump Judicial Nominees - Alliance for Justice monitors and assesses federal judicial nominations. TrumpiLeaks - Michael Moore's site for providing government, law enforcement or the private sector with knowledge of the crimes, lies and general misconduct committed by Donald J. Trump and his associates. Trumpocracy: Tracking the Creeping Authoritarianism of the 45th President - A running timeline tracking Trump’s numerous displays of authoritarian behavior, beginning from the day he was sworn in. Check back regularly for updates, posted from the top down. Maintained by Mother Jones. U.S. Vote Foundation - Online tools to assist U.S. citizens living anywhere in the world to register to vote and request their absentee ballot using their state's specific voter forms. This includes U.S. citizens living within the U.S., living abroad or serving in the military. The comprehensive range of services offered by U.S. Vote helps voters navigate the complicated landscape of U.S. voting regulations. Also see U.S. State Voting Requirements & Information page. United States Elections Project - An information source for the United States electoral system. The mission of the project is to provide timely and accurate election statistics, electoral laws, research reports, and other useful information regarding the United States electoral system. United States Presidential Election Results - Detailed national results of U.S. Presidential Elections from 1789 to present. State and county results from 1892 to present. USA.gov - Find answers to common questions about voting in the United States. Election Day Resources - Know where to vote and what forms of identification to bring with you so you don't run into problems on Election Day. Federal Election Laws, Results, and Voting History - Find results of past federal elections. Learn about voting and elections laws created, voting methods developed, and voter habits as they've evolved over the years. 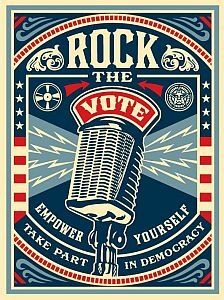 Find Your State's Election Office Website - Find your state's election office website, which includes voter registration information and deadlines, early voting dates, polling place hours and locations, and more. Presidential Election Process - Learn about the Presidential election process, including the electoral college, caucuses and primaries, and the national conventions. Register to Vote - Find voter eligibility requirements and information on registering to vote in person, early and absentee. Voter Registration Age Requirements - Start here to find out how old you need to be to register to vote in your state today. Voter Registration Deadlines - Find out the latest date to register to vote in the General Election in your state. Voting and Elections - Learn about researching candidates, voting accessibility, absentee voting, reporting voter fraud, and becoming a poll worker. Vote-USA - Custom sample ballots using voter's address with side-by-side comparisons of candidates' pictures, bios, social links and positions and views on the issues. Votecastr - Providing information and analysis for key battleground states to the American public throughout Election Day. Voter's Edge - A comprehensive, nonpartisan online guide to federal, state, and local elections in California, Illinois, and New York. Voting News - A news service made possible by the Verified Voting Foundation. Covers issues affecting the accuracy, integrity and verifiability of elections. Voto Latino - A non-partisan organization dedicated to promoting civic engagement and registering Latinos to vote. Voto Latino engages the community with the latest technology, including apps, blogs, videos, polls, and petitions. Web Sites for Secretaries of State and/or Directors of Elections - Directory of links that will take you to the official sites of all Secretaries of State and/or Directors of Elections in the U.S. states and territories. White House Transition Project (WHTP) - Since 1997, the White House Transition Project has combined the efforts of scholars, universities, and policy institutions to smooth out the American presidential transition. WHTP bridges the gaps between the partisan forces engaged in settling elections and the decision processes essential to governing by providing non-partisan information about the challenges of the American presidential transition and the strategies for overcoming those challenges. It provides these and other resources to presidential campaigns, to the president-elect, and to the new administration. These resources include three seperate report series providing a White House institutional memory, perspectives on past transitions, and advanced reserach covering special aspects of transitions and governing. The WHTP also provides unique analysis of the appointments process and a clearinghouse on other transition resources. California Online Voter Registration - From California's Secretary of State's office. Campaign Legal Center - A nonpartisan, nonprofit organization which works in the areas of campaign finance and elections, political communication and government ethics. DOD Directive 100.04 (04/23/07) - Covers regulations concerning political activities by members of the U.S. armed forces on active duty. Election Assistance Commission - Authorized by the Help America Vote Act (HAVA) to serve as "a national clearinghouse and resource for the comparison of information" on various matters involving the administration of Federal elections." Also see Election Assistance Commission: Duties and Responsibilities. Election Law @ Moritz - Information on the laws governing federal, state, and local elections from Moritz College of Law. Also see the e-Book on Election Law, an online reference guide and Current Litigation Documents. Election Law: An Overview - From Legal Information Institute at Cornel Law School. Federal Election Laws and Regulations - Campaign finance legal documents provided by FEC. Federal Election Campaign Laws - Compiled by the Federal Election Commmission, April, 2008. Federal Election Commission (FEC) - U.S. agency that administers and enforces the Federal Election Campaign Act (FECA) - the statute governing the financing of federal elections. Also see: House and Senate Campaign Finance Reports and Data. Federal Voting Assistance Program (FVAP) - Provides information to U.S. citizens covered by the Uniformed and Overseas Citizens Absentee Voting Act (UOCAVA). If you are not a UOCAVAcitizen, and wish to vote absentee as a regular state voter, please click here for links to State Election Sites. Handbook of United States Election Laws and Practices - This handbook presents a legal framework for the study of political rights in the United States. It gives a brief historical background and then analyzes the current status of the right to vote, the right to be a candidate, the right to gain ballot access, the right to fair and effective representation, rights under the Federal Voting Rights Act, the right of people to participate directly in the governing process through the initiative, referendum, and recall, the right of political expression, the right of political association, the right to know, and the political rights of public officials and employees. It describes many federal and state court decisions in detail, examines federal and state laws, and provides many tables that offer state-by-state surveys of constitutional and statutory provisions. There is a table of cases referring to the many court cases that are described in the handbook. Further readings are suggested at the end of each chapter and at the end of the book. A full index makes all the valuable reference material accessible to readers and researchers. Help America Vote Act of 2002 - Public Law 107-252. Also see LII backgrounder on HAVA. International Association of Government Officials (IGO) - Provides professional training and leadership development for recorders, election officials and clerks. Members are governmental officials whose responsibilities fall into one of four areas - finance, land records, courts, and elections. National Association of Secretaries of State (NASS) - NASS has provided information and testimony to various congressional committees and continues to monitor and seek passage of a federal election reform bill that will assist states in updating voting technology, increasing training for election workers, expanding voter education programs and improving election processes. See NASS: State Election Laws and Administration Issues page. Restriction of Political Campaign Intervention by Section 501(c)(3) Tax-Exempt Organizations (IRS) - Under the Internal Revenue Code, all section 501(c)(3) organizations are absolutely prohibited from directly or indirectly participating in, or intervening in, any political campaign on behalf of (or in opposition to) any candidate for elective public office. Contributions to political campaign funds or public statements of position (verbal or written) made on behalf of the organization in favor of or in opposition to any candidate for public office clearly violate the prohibition against political campaign activity. Violating this prohibition may result in denial or revocation of tax-exempt status and the imposition of certain excise taxes. San Francisco Department of Elections - Information for residents of San Francisco about registering and voting in primary and general elections, campaign services, becoming a poll worker, poll providers, election results and data, and more. State Election Laws and Administration Issues - Election laws and regulations can vary significantly from state to state. State Voter Registration Verification Web Sites - States and territories are making it easier to find out your voter registration status. Here are the web sites and any special instructions needed to check your voter registration status. U.S. Census Bureau: Voting and Registration - Information on reported voting and registration by various demographic and socioeconomic characteristics is collected for the nation in November of congressional and presidential election years in the Current Population Survey (CPS). U.S. Code: Title 42, Section 1971. Voting Rights - The Voting Rights Act of 1965. U.S. Department of Justice Civil Rights Division: Voting Section - Federal voting rights laws, litigation, and FAQ. U.S. Department of Justice Civil Rights Division: Voting Section Notices - The Attorney General periodically provides notices of preclearance submissions pursuant to the Attorney General's Procedures for the Administration of Section 5 of the Voting Rights Act (Part 51 of Title 28 of the Code of Federal Regulations). These notices provide information concerning submissions of voting changes, submissions of items of additional information, notices of withdrawal of a submitted voting change and requests for the Attorney General to reconsider an objection. 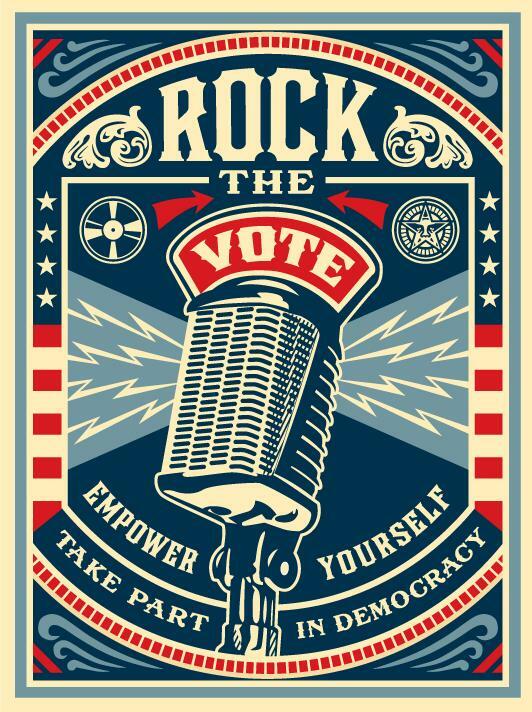 U.S. Election Assistance Commission (EAC) - Serves as a national clearinghouse and resource for information and review of procedures with respect to the administration of Federal elections. U.S. Electoral College - The Office of the Federal Register coordinates the functions of the Electoral College on behalf of the Archivist of the United States, the States, the Congress, and the American People. Also see the U.S. Electoral College Home Page of Office of the Federal Register/U.S. National Archives and Records Administration. Contact Elected Officials - President, senators, representatives, governors. Learn about Elections and Voting - Voting and elections in the United States, educational materials, Electoral College facts, elected officials, voting legislation and reform. Registering to Vote and Voting - Absentee ballot, Election Assistance Commission, state election offices, voter registration, voting rights. Volunteering and Contributing to the Election Process - Become a poll worker; political activity by federal government employees (The Hatch Act); campaign contributions; supporting federal candidates. Voting Privacy - News and information from EPIC on voter rights, voter suppression, voter ID and the like. Voting Rights Project - Established in 1965, the ACLU Voting Rights Project has worked to protect the gains in political participation won by racial and language minorities since passage of the historic Voting Rights Act (VRA) that same year. Voting Rights Act of 1965 - Background informatin provided in interview and articles from NPR. Aljazeera America - U.S. and Canadian news. Atlantic, The - Politics and policy. BBC - U.S. and Canadian elections news. CBS News - News and politics. Christian Science Monitor - USA politics. CNBC - Election news and politics. CNN Politics - Political news polling. Cook Political Report - An independent, non-partisan newsletter that analyzes elections and campaigns for the US House of Representatives, U.S. Senate, Governors and President as well as American political trends. C-SPAN - Daily coverage of Washington DC and more than 200,000 hours of extensively indexed and archived C-SPAN video. Daily Kos - Elections news. Election DataBot - There are a thousand stories in every political campaign. Use this to find them. The most interesting campaign data in near-real-time, including campaign finance filings, Google search trends, vote activity from sitting members of congress, new polls, forecasts from 538, and Cook Political Report race ratings. Also see more on how to use the Election DataBot and its sources and methodology. Election Law Blog - Rick Hasen's blog covering election law, campaign finance, legislation, voting rights, initiatives, redistricting, and the Supreme Court nomination process. Electomatic Political News - Gossiping the elections, the politicians and the electorates. FactCheck - Squashes the political rumors and debunks the myths. Financial Times - U.S. presidential election. FiveThirtyEight - Nate Silver's blog. HuffPost Politics - U.S. political news. Memeorandum - Compilation of political news and opinion pieces. National Journal - Premier source of nonpartisan insight on politics and policy for more than four decades. Also see the Almanac of American Politics. New York Times - Politics. NPR - Primaries, caucuses and election news. PoliFact: Truth-O-Meter - A project of the St. Petersburg Times and Congressional Quarterly to help you find the "truth" in the presidential campaign. Political Wire - Taefan Goddard's political blog. Politico - Political news and policy. Politics1 - U.S. political and election news from Ron Gunzburger. PoliticsTV - Strictly video: ad campaigns, speeches, news, and opinion. Public Radio International (PRI) - Global politics. Roll Call - Reporting on Congress and politics. Rothenberg Political Report - Newsletter covering U.S. House, Senate, and gubernatorial campaigns, Presidential politics, and political developments. Rough & Tumble - California public policy and politics. Salon: Politics - Daily political news and opinion pieces. Slate: News and Politics - Analysis and commentary. Wall Street Journal, The - Politics. Washington Post, The - Politics. Angus Reid - A national, not-for-profit, non-partisan public opinion research organization established to enhance better understanding of issues and trends affecting economic, social, governance, philanthropy, public administration, domestic and foreign policy in Canada and its world. Edison Media Research - Providing decision support for broadcasters, advertising and marketing agencies, and election polling for the major television networks and the Associated Press. Election Data Services - A political consulting firm specializing in redistricting, election administration, and the analysis and presentation of census and political data. ElectoralVote - Tracks political polls for U.S. federal elections. Edison Research: Election Polling - Exclusive providers of the National Election Exit Polls to the major US television news networks and the Associated Press. Field Poll - Independent and non-partisan media-sponsored public opinion news service. FiveThirtyEight - Electoral projections; analysis of polling and political data. Gallup - Gallup's polling and analyses. Grove Insight - Extensive experience in all facets of the survey process -- from designing questionnaires to moderating focus groups, from analyzing survey data to reporting on results in a way that is most useful to our clients and developing sound strategy recommendations. HuffPost Pollster - Tracks thousands of public polls to give you the latest data on elections, political opinions and more. Ipsos - Explore market potential and market trends. Test products and advertising. Mellman Group - Provides opinion research and strategic advice to political leaders, government agencies, and corporations. Morning Consult - Survey research. National Annenberg Election Survey (NAES) - The survey examines a wide range of political attitudes about candidates, issues and the traits Americans want in a President. It also has a particular emphasis on the effects of media exposure - campaign commercials and news from radio, television and newspapers. Additionally, it measures the effects and other kinds of political communication, from conversations at home and on the job to various efforts by campaigns to influence potential voters. National Election Exit Poll - Edison Research is the exclusive provider of the National Election Exit Polls to the major U.S. television news networks and the Associated Press. When you watch TV on election night and you hear projections of the results or analysis about who voted for whom - it comes from Edison's Exit Polls. Office of the Clerk, U.S. House of Representatives: Election Statistics - Since 1920, the Clerk of the House has collected and published the official vote counts for federal elections from the official sources among the various states and territories. PollingReport - Features national poll highlights. Additional data - including state-by-state presidential, congressional, and gubernatorial polls - plus analyses by leading pollsters, are available to subscribers. Polls and Related Articles From The New York Times - News about polls and related articles, including commentary and archival articles published in The New York Times. Presidential Job Performance - Presidential approval ratings provided by The Roper Center. Princeton Survey Research Associates - Research, data collection, data analysis. Rasmussen Reports - Conducts national tracking surveys every night on political, economic and lifestyle issues. Has a right-leaning bias and earns only a C+ grade from FiveThirtyEight. TIPP - The polling unit of TechnoMetrica Market Intelligence. A leader in the publication of economic and industry-specific consumer confidence and purchase plan indicators. Washington Post - Political polls. 2020 Election Central - Political news, videos, debates and polls, debate schedules. Commission on Presidential Debates (CPD) - Sponsors and produces debates for United States presidential and vice presidential candidates. Also undertakes research and educational activities relating to the debates. Debate Transcripts are housed here. Created by the two major U.S. political parties the CPD replaced the League of Women Voters in 1988. The CPD has controlled sham debates in the U.S. ever since. C-SPAN - Coverage of Presidential debates. Debate This - Working for a more open debate process. Background and resources. Open Debates - Currently, the presidential debates are secretly controlled by the major parties, through the private bipartisan corporation called the Commission on Presidential Debates. This has resulted in the stultification of format, the exclusion of popular candidates, and the avoidance of pressing national issues. Open Debates wants to change this. This webpage last updated on Saturday, March 9, 2019 6:53 PM.